I’m always asked for advice on the wedding day. Sometimes it’s months or weeks before the date, other times it’s in a blind panic on the day itself. The simple fact is, I have done this more times than you. Don’t get me wrong I’m no wedding planner but us photographers almost turn into them especially on your big day. We are the one point of contact present throughout your day until we hand it over to the DJ as we leave after being by your side all day long. Below are 10 wedding photography tips to help your wedding photographer to get the most out of your wedding photos. After all, there are no second chances, so lets rock your wedding together! 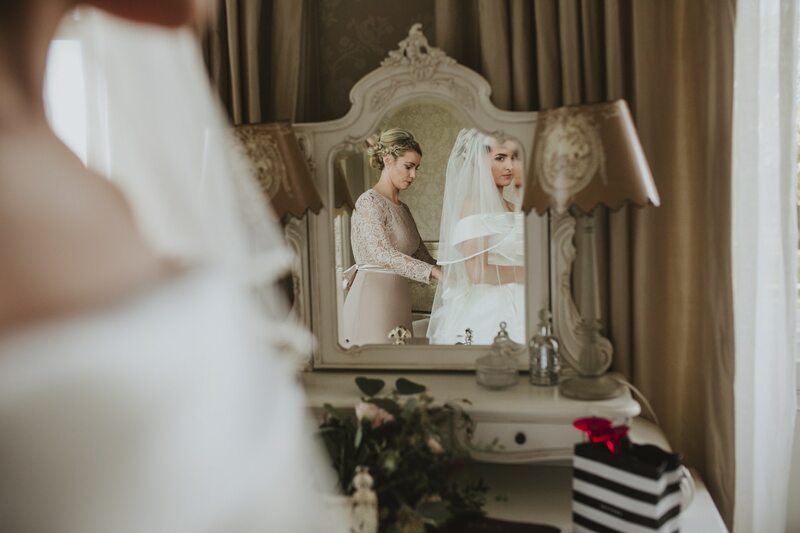 Whether you’re getting ready at your venue, your house or your parent’s house, a de-cluttered room will make great photographs. So make sure you have a little clean up of where you’re getting ready and remove all non-essential items. With your wedding party and other vendors like your makeup and hair professionals, space is tight as it is! The cleaner the room, the cleaner the images will be, meaning we can focus just on whats happening without tiptoeing across a room trying not to break anything that may be laying around. Get ready with plenty of time to spare. It sounds negative to say but something usually ‘goes wrong’ and it will put your timings off. Aim to be ready with plenty of time remaining so you can chill out a little and take in the moment. Rushing to the ceremony, will not only leave less time for photographs with your wedding party, but also flusters you for your upcoming ceremony. So take the time to unwind and have a few big breaths. Enjoy the moment of calm. You probably won’t have realised this, in fact neither had I until I started photographing more and more weddings permission is really key to your day! Your ceremony, the actual wedding itself, the start of your marriage is at the end of the day THE most important part of your day. The rest is just tradition or our fun, or both! It is a fairly common, but unknown, practice that some religious venues do not allow photographs to be taken throughout the legal ceremony. Strangely, there doesn’t really seem to be any set rules regarding this and seems to be strictly down to your Priest/Vicar/officiates views. This may be something to consider when choosing your venue. Make sure to ask your Priest/registrar if you have photographic permissions throughout the ceremony or if there are any restrictions to be followed before the big day to avoid any last minute disappointment. Maybe try to negotiate ahead of time and prevent your poor photographer from being banished to the back of the church or out of it completely! Leading on from Permission is Position! 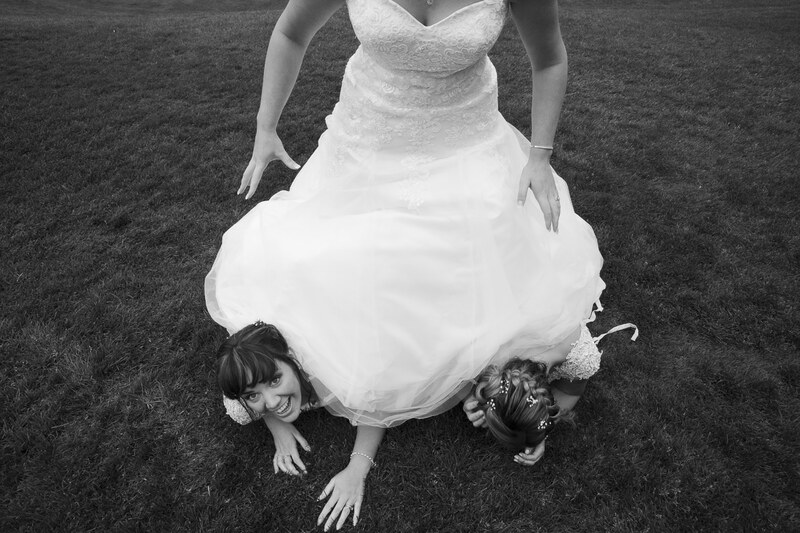 The above totally changes where I can stand and therefore what photos I can get for your wedding ceremony. Just remember, If this is key to you, two photographers means two positions. 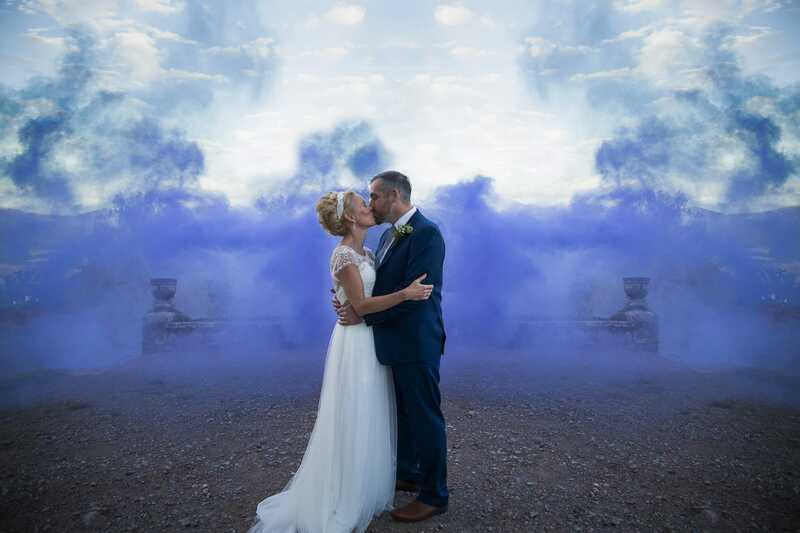 Every bride or groom wants to see the moment they saw their spouse turn around and catch the first glimpse of them and the emotions they felt whilst walking towards their happily ever after. 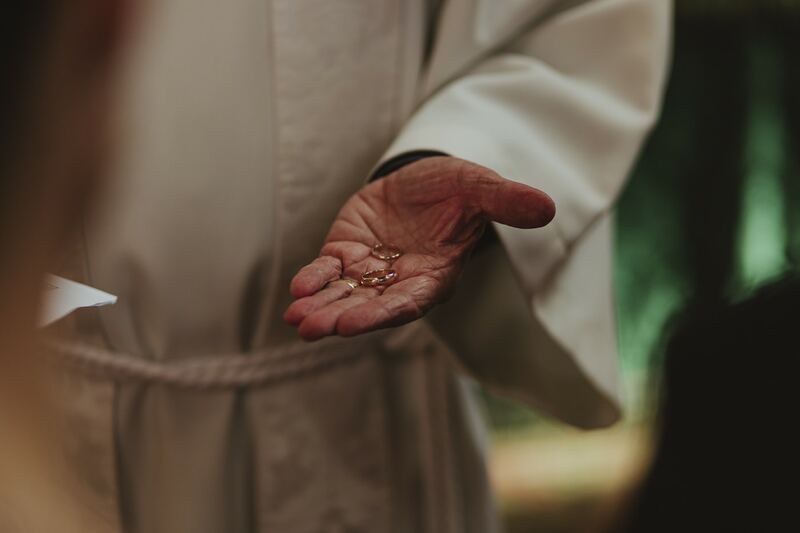 However, this view is often not possible when your bridesmaids or even potentially your priest is walking down the aisle and block the shot. This is something that can easily be avoided. 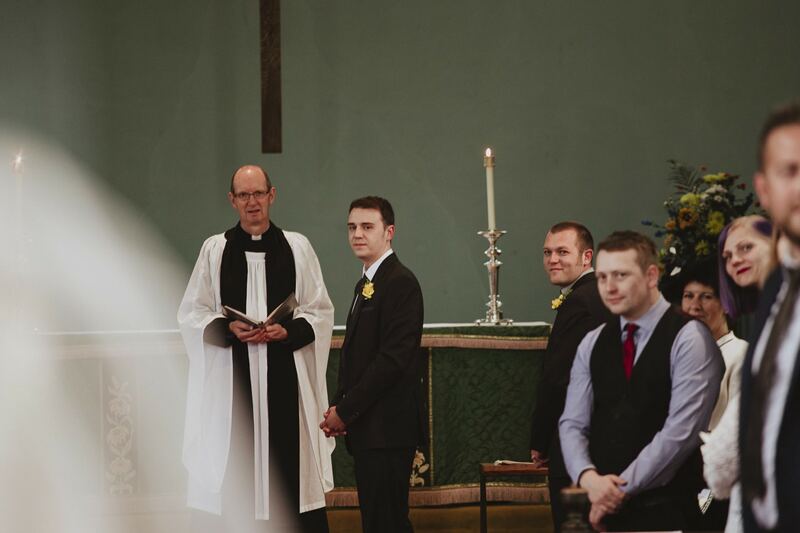 Find out if your Priest likes to walk down the aisle before you and if so ask them to go quite some distance ahead of you. It’s also nice to be able to get photographs of your wedding party as they walk down the aisle. Leaving a decent sized gap between yourself and the party will make this possible as well as building anticipation and you will have centre stage whilst arriving at your soon to be spouse. You may have heard of “Unplugged weddings” before, but do you know what they are or how people go about them? An unplugged wedding is honestly wonderful. Its when you ask your guests not to take their own photos during the ceremony. It means that people are actually in the moment. After all, weddings for guests aren’t always cheap, so why spend so much money on hotels and booze at the reception to watch the main event through a tiny screen on your phone or camera? I honestly cannot count how many photos have been ruined by Uncle Bob and Aunty Mavis jumping into a moment and blocking the shot, usually when you’re both walking down the aisle after saying I do! Its never nice but it happens. Some take this even further and say you can take photos after the ceremony, but don’t post them online until the next day. This is a great compromise, I don’t want to tell people not to take photos, but at the same time I want them to enjoy the day for what it is and let me worry about the photos, that’s why I’m there after all. 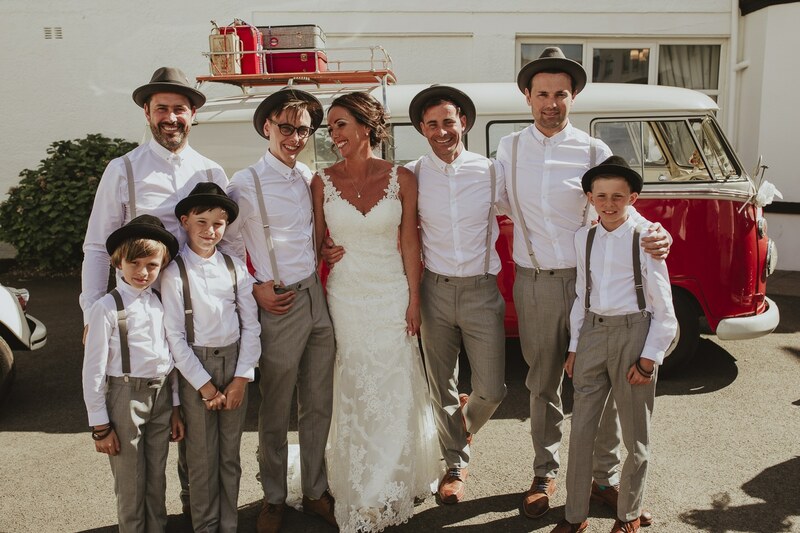 The formal photos are when you gather your friends and family around you and get a photo all together, typically stood in a line, these are usually your parent pleasers and nice and traditional. But, you can spice things up and go crazy cool IF you have the time. Formals take a lot of time, at least 5 minutes each. I always ask for a list as part of a questionnaire I send 6 weeks before your day. I print off several versions and hand them to ushers or family and get them to help me round everyone up. Use the below tips to speed it up even more! I limit formals to 10 groups, by number 5 your smiles won’t be real and you just want to go grab a drink! Forced smiles don’t look great and if you go for all ten you could spend an hour just stood there waiting for people. Secondly, start big, end with VIPs. It’s easier to start with the big groups and take people out of the shot than it is to find Bob and Mavis in the drawing room. It’s also a lot quicker (and could save you half an hour of standing), meaning more time for you guys to do what you want to! A simple idea but a great one, when you have your list, slip it into the order of service, or have a sign out on show? Let everyone know who’s needed and tell them where to be and when. On top of ushers helping out this will really get the formals out of the way so you can head on and par-tay! Unless your best person is a stand-up comedian, which most believe they are regardless, hardly anyone is up for a speech. Maybe that makes them even more special, but the idea of speaking in front of hundreds is usually nerve wrecking! Get it out of the way, trust me, most people who do speeches tell me they’re in a panic and they just want it over with. So get it over with if you’re having speeches. 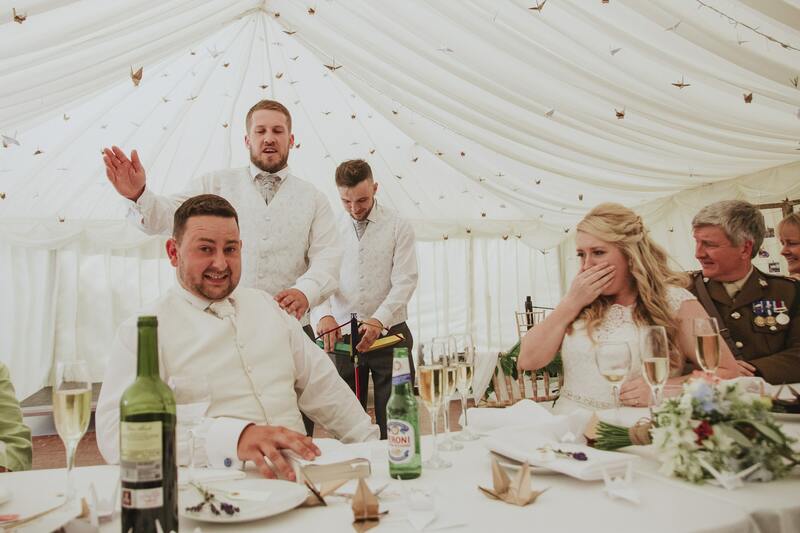 Talk to your venue about doing speeches before your wedding breakfast/meal. It will then get everyone comfy and leave time to enjoy the meal rather than ramping up those nerves even more. It also means your photos are nice and clean before people start spilling wine or food on tables. IT happens… Trust me! Looking for those romantic couple photographs? While everything is going on, I try and take you away just the two of you to enjoy time together. I love to take you out on your way from the ceremony to the reception venue, or just after the ceremony, to allow you time alone without someone shoving a phone in your face for a selfie. It gives you time to relax and think about the commitment you have just made but also it lets me get those gorgeous real moments and looks of love between you both. Ideally, I also love to take the couple out for a second time nearer sunset for those gorgeous sunny tones and light. If you can, plan some time for couple photographs 30-45 mins before sunset on your day and I promise we will have a great time. It will be more posey than the first session but by now you should be used to me and probably a little boozy so it’s all good! 8. Don’t stress about the dress. So, your dress, high on the list of things you love about your wedding and probably up there in the larger investments of your wedding day too, however… Don’t Stress about the dress! Sorry to say, but it will get dirty, even if you’re just inside all day, it will pick up stuff that’s on the floor, generic fluff and what not. You will still look as stunning so just don’t stress about it. Another reason I mention this is that, for the most part, awesome wedding photos come from places that contrast with the dress. Its bound to get a little dirty, so just go with it, I won’t ask you to jump in puddles… Unless you want to? Just be aware that it will be a little dirty by the end of the night anyway. I’m also fairly good and holding dresses while walking over fields etc now too! It’s your day, own it. Do what you want! If you want tradition, cool! If not, tell tradition to do one! Whatever you do, do it to 110% and do it for you two! Honestly, this really comes out in photos! you can see the glimmer in your eye and the smiles that say “We did this!”. Also be brave for your photos. Try something new. Head into the rain or hop over a fence to get to an interesting location, the resulting images will always be more than worth it! After all, you get out what you put in. Go get those wow photos that others wouldn’t dare. These shots will tell a story more than the rest and they will show off the courage you both have and your personalities perfectly! 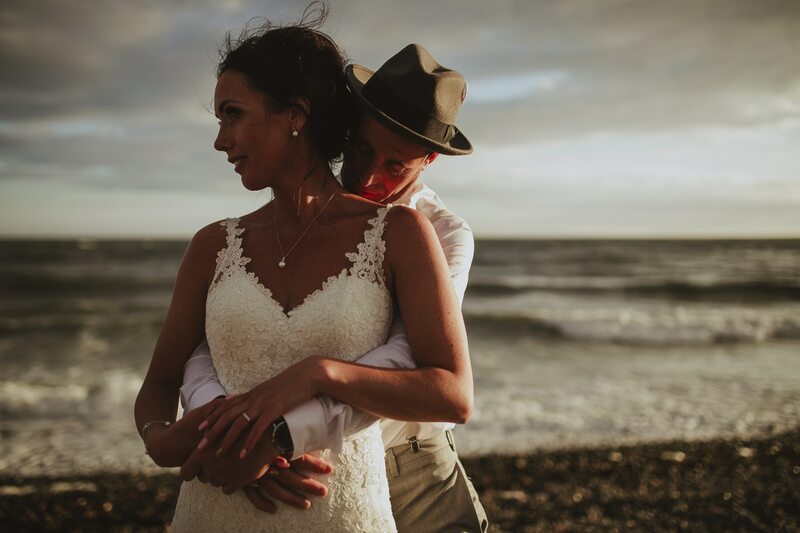 Please trust us, after all, you may have spent hours searching through huge amounts of photographers work to find yours, and booked them ultimately because you loved their work. So trust their judgement. Sometimes ideas or things they ask you to do may seem a little wacky and you may seem a little silly, but the result in the camera is a totally different scene. You have seen their portfolio and what they can do and you have booked them for that reason. Please don’t send a list of Pinterest images and ask them to recreate the Californian sunshine in highlands of Scotland… By all means, give them ideas of images you would like, but be realistic in your ideas, trust their creativity and just go with it! The results will be worth it! Weddings always overrun for one reason or another. When planning, give each section of the day an extra 15-30 minutes for overrun. This means that if anything does overrun you should be able to catch it up and get back on schedule. 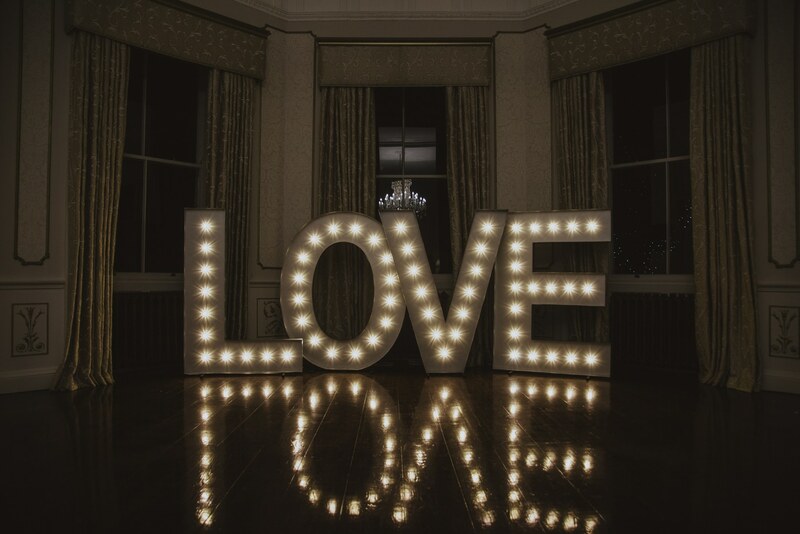 Your venue and photographer will adore you for this! Ok, so this is a rather contested item in the industry and also for the couple. Should they or should they not feed the photographers and other vendors who are there all day? My personal view is, I’m not fussed but please do let me know either way. I don’t mind having a packed lunch or finding some food from the bar at your venue, but again this can take up extra time. If your venue knows they’re feeding extras then we will be on the same timeline as yourself. If they don’t and I order from the bar, this can delay service to myself which means it delays service to you. At the end of the day, you’re having a wedding day, not a photo shoot! A good photographer will be able to get amazing images with a short window of time but only if you all take a part of it and enjoy the day you created. We’re here to help, and to document your day. We want photos that last generations with natural photos of the events of your day. Whether it is nan shedding a small tear or the belly laughs with your most loved we want to capture these memories where you forget about us, the photographer. So just enjoy your day and dive on in! 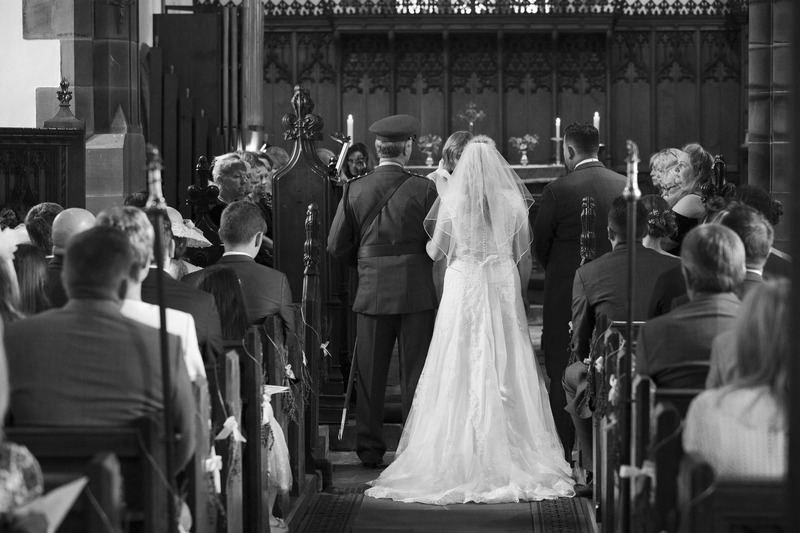 If you have any more useful wedding photography tips why not share them in the comments? Great tips for your bride and grooms but overall for all brides and grooms. Great tips for a future bride! Excellent tips to help make such an important day go perfectly! I love these tips! There is definitely some good info for couples planning their wedding! Wonderful tips for a wedding celebration. Excellent wedding photographer. Thanks for sharing. All the points are so true and amazing photos by the way!! So much useful information! 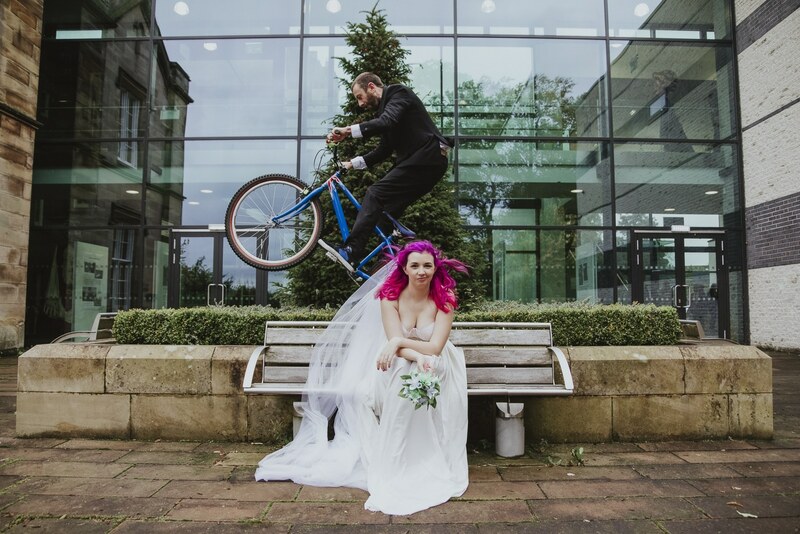 I also really love the photos with the groom on the bike – so good! Some great advice here Josh – nice one! This is a great article with lots of helpful tips! Some great tips. Re permission, I’ve got a church wedding coming up where I have to sign a contract with the church first! !